Please reference as: Whites Writing Whiteness (2018) ‘Research Methodology: The Practicalities’ Whites Writing Whiteness www.whiteswritingwhiteness.ed.ac.uk/overviews/researchmethodology/ and provide the paragraph number as appropriate when quoting. 1. The ‘Whites Writing Whiteness’ research has involved the research team carrying out detailed investigations of a number of archive collections. Most of these are South African-located and a combination of very large family-based collections and smaller but still large collections focused on particular people or organisations. Two others are extremely large UK-based ones: the London Missionary Society South African collection and the Cecil Rhodes Papers. 2. The first stage of the research was to compile a series of databases of information based on these investigations, by logging ‘meta-data’ (date, writer, addressee, place and so on) entries for all of the contents of each of the full list of collections being worked on, also noting contents, extracting some entries and transcribing in full any particularly pertinent content. Many of these collections hold in excess of 5,000 items, some double or triple this. For most collections, a 1 in 5 sample was drawn with more information recorded to these, while all documents had some basic information recorded for them. In addition, for some particularly interested collections all of their contents were recorded in detail, including with transcriptions made of f a significant proportion of these documents. 3. Each database was prepared with the requirements of the project’s Virtual Research Environment (VRE) in mind. This uses all the meta-data recorded per document and per collection, so as to enable complex searches to be performed within and across collections. The VRE is a complex piece of software designed and customised with Data management and also analytical needs in mind. The VRE that ‘Whites Writing Whiteness’ is using was first developed in relation to the Olive Schreiner Letters Project (www.oliveschreineretters.ed.ac.uk) and it invisibly underpins the publication of Schreiner’s letters in a fully searchable form in the published Olive Schreiner Letters Online (www.oliveschreiner.org). It was then extensively customised to fit the rather different data management and data analysis requirements of the ‘Whites Writing Whiteness’ research. 4. The analysis of its data in WWW research has focused on documents and collections. Understanding a collection, what its main components are and its most important analytical and interpretational features are all important in analysing the meaning of particular documents or traces, and also of sets of documents drawn from across a number of collections located in many different archives. The letters and other documents contained in these collections are of the essence. WWW work on documents and collections has involved one of three different but related ways of recording information. A large number of collections have had all their letters and other contents read and fieldnotes written about them and have been discussed in various WWW analysis and publications. Around twenty-five large or very large collections have been worked on in greater detail. Here all of the contents have been read and a searchable database compiled, containing detailed information for a 1 in 5 Sample of letters, with the same detail recorded for many Extra items that contain particularly interesting material, usually on ethnicity and race. A handful of smaller collections have been recorded in totality, with all of their contents recorded in detail within a searchable database. 5. Also, in addition to letters, some linked diaries are included in the research databases. 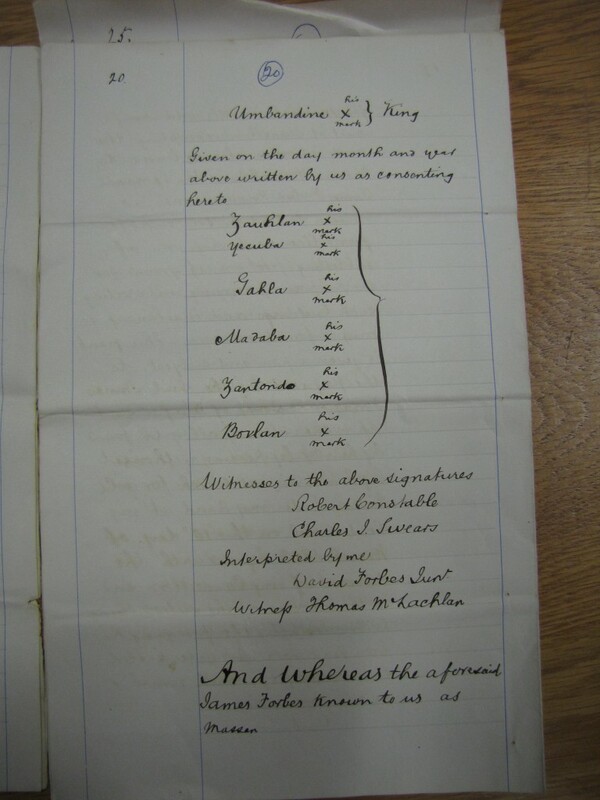 ‘Farm diaries’ were a required way of recording information to be returned to government sources. They have some attributes of letter-writing, in particular in having an implicit external third-person addressee, and the information recorded from them concerns labour, the African people who did it, and race matters. 6. The broad practical methodological approach of WWW work is a Qualitative Longitudinal Research one. QLR is predicated on the processual nature of social life and that in practice things, events, activities, do not stop but continue in their flow. Life is always in media res – things never stay still, we are always in the flow. As a result, QLR research avoids one-off ‘snapshot’ ways of collecting data, usually referred to as cross-sectional, but instead grapples with this processual quality of social life, including social life in the historical past. The WWW version of QLR has been particularly concerned with series, duration and interval regarding its source materials. Its data is composed by long temporal series of linked materials: that is, letter-writing and letter-exchanging within a number of figurations extending up to two hundred years. Each of the collections researched is constituted around seriality, being formed by a temporally-long interconnected series of data, although the time periods covered by each collection and its constituent writers of letters will of course differ. These data series are consequently also strongly characterised by duration. In some cases this extends over two or three generations of letter-exchanges, while for others this is over seven or so generations, around a two hundred year period. Longevity and the ebbs and flows of letter-writing and receiving requires recognising that at different points in time a figuration is composed differently, indeed will slowly and incrementally change through accretion and attrition so that at no one point in time is it possible to say there has been a change in kind rather than changes in degree. These series of letter-writings are also characterised by closed intervals – that is, the letters by and large follow each other, they are not sporadic and disconnected, and ‘one follows another’ in a closed succession in the series. As historical collections and subject to ordinary attrition, of course there may be some gaps and omissions. In addition, many of the correspondences within the collections were written in circumstances of interrupted presence, rather than the more permanent absence of writer and addressee from each other, and so there is also a conceptually and methodologically necessity to take fully into account the existence of face-to-face meetings occurring between the intervals of some letters in a series. 7. The analysis of WWW starts away and is predicated upon letters, the remaining traces of the past in which won’t South Africans wrote to each other about events, circumstances and other people in the unfolding social life around them and in which they played their part. The Traces pages on the website provide detailed account of how these traces remaining have been analysed at the level of individual examples. The Curiosities pages also work with individual traces, in order to show the complex and porous boundaries between letters and other genres of writing. The archive collections from that all these derive are also essential to the analytical work carried out, with the first stage and analysis being reported on in Collections, and then in a more detailed way in the Figurations pages.